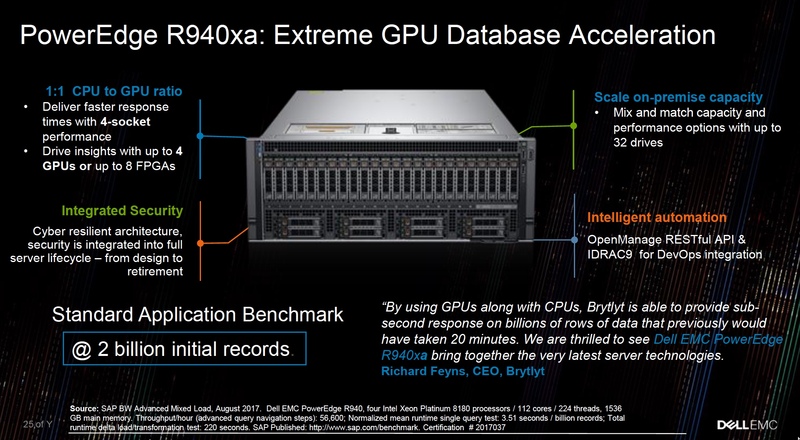 Dell EMC has announced the availability of the PowerEdge “xa” model (Xtreme Analytics, “xd” was Xtreme Density), where the ratio of CPU to GPU can be 1:1. 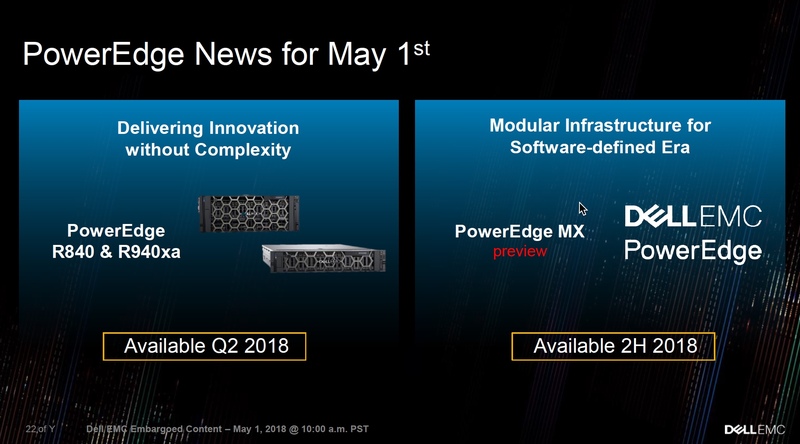 They also previewed the new PowerEdge MX platform, which is slated to be released in 2H 2018. 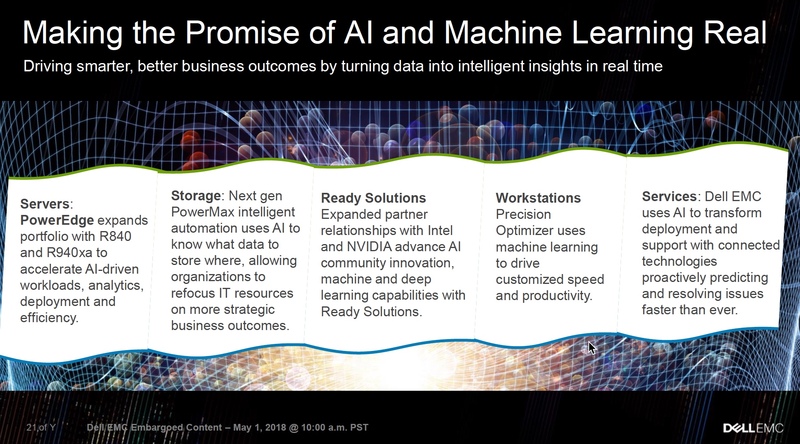 PowerEdge MX is taking the lessons learned from the M1000E and FX2 platforms and ties the emerging technology of Gen-Z to create the next-generation modular platform (Kinetic infrastructure stack – see slides at the end). 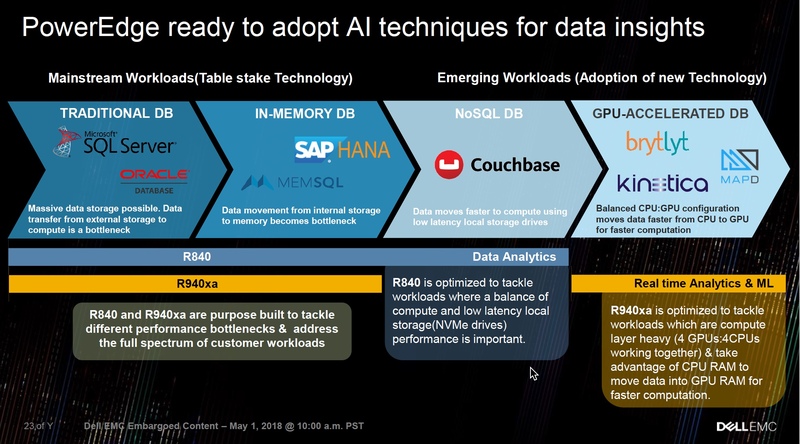 Two models: R840xa and R940xa. 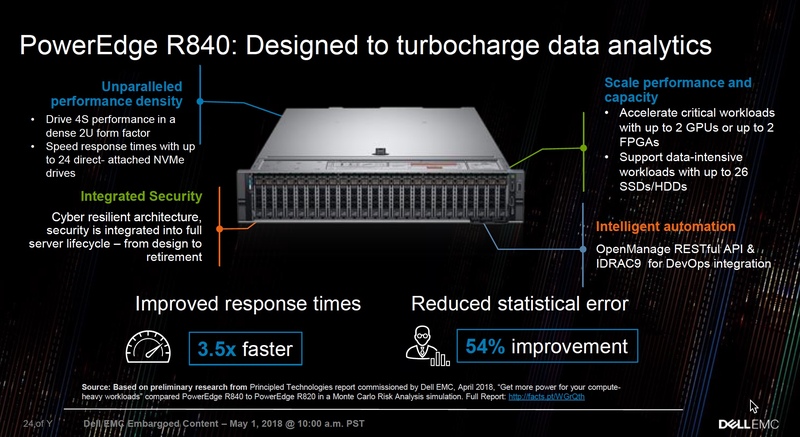 Suitable for traditional DB, In-Memory DB, NoSQL DB and GPU-Accelerated DB workloads. 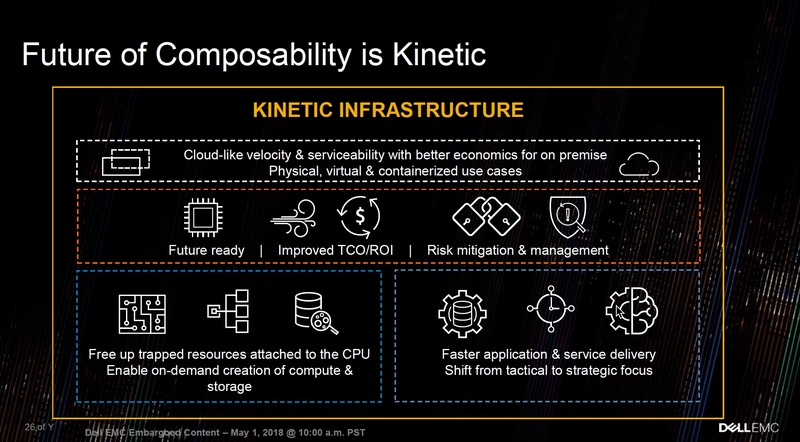 Have the option to balance performance and capacity with GPU or FPGA hardware. 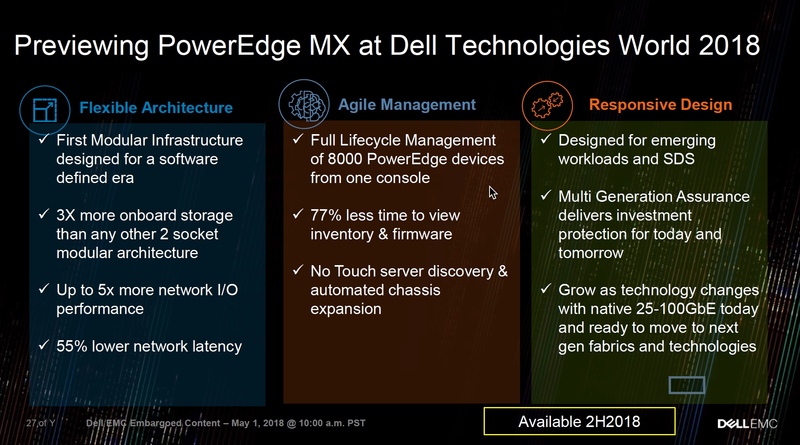 PowerEdge MX is designed for emerging workloads and SDS (not a lot of information I know, the two slides at the end below is all that was provided).